Magnificent Mediterranean Masterpiece with UPGRADES GALORE on a gorgeous waterfront lot situated in highly sought after community of Cory Lake Isles! 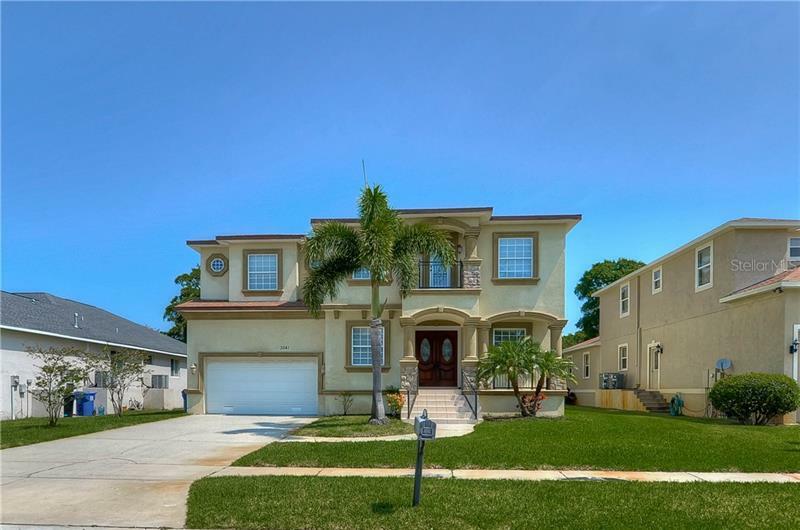 Completely updated home features 3957 of luxurious living space, 5 bedrooms, 5 baths plus office, bonus/loft area & 3 car garage. Entering the home you will feel the openness of the 22' high ceilings with beautiful hardwood floors, gorgeous iron banister with cherry handrails. Gorgeous updated gourmet kitchen features stunning granite, updated stainless steel appliances, Samsung Family Hub refrigerator with Food Management & Entertainment capabilities with 21.5" Wi-Fi enabled touchscreen, upgraded backsplash & 42" cabinets, pot filler, wine fridge, breakfast bar & Butler's pantry. Kitchen opens up to great room with 24 ft ceilings & sliders to covered lanai great for entertaining! Enjoy the peace & tranquility of your backyard with beautiful views of the lake from your own private dock! 1st floor large master with walk-in closets. Large master bath with upgraded tile, granite countertops, garden tub & huge walk in shower. Home also features upgraded light & plumbing fixtures, water filter/softener system. Bring your boat & toys to enjoy skiing, fishing or cruising around the 165 acre lake. Cory Lake is a 24hr gated/security community includes brick-paved streets, pool, beach area, fitness center, basketball court, tennis courts, hockey rink, community boat ramp & playgrounds. Close to all, restaurants, shopping, I-75. A MUST SEE!